GATE Rejected Candidates List has been released by the IIT Madras, Click Here to Check Complete List. GATE Duplicate Candidates List has been released by the IIT Madras, Click Here to Check Complete List. List of Candidates whose applications have been found defective and are Provisonally only accepted , Click Here to Check Complete List. The authority (IIT Madras) has been released the list of Rejected List of the candidates , IIT Madras has been relased the two list of rejected application, one is comprehensive list and other one is Duplicate application. those candidates whose application is rejected can not be get the GATE 2019 Admit Card. 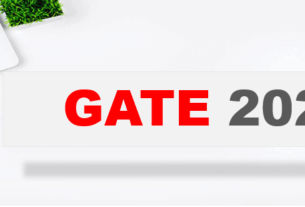 GATE 2019 Admit Card will be release on January 7th 2019, and the GATE Examination will be started from 2nd February 2019 to 10th February 2019. Indian Institute of Technology has been released the complete list of those candiuadtes whose application is rejected. the Application Rejection are two types of, in first one the IIT Madras those candidates list whose Application is rejected and the other one is those candidates whose Application is rejected due to Duplicate document scan. IIT Madras also released the List of those candidates whose application are not accepted because they do not meet the minimum eligibility criteria. those candidates who can not meet the minimum eligibility criteria, IIT Madras will not publish the Admit Card for those candidates and they do not appear in the GATE 2019 Examination. IIT Madras also release the list of those candidates whose GATE 2019 Application has been accepted and these candiadtes whose Application is Provisionally accepted can appear the GATE 2019 Examiantion. and the GATE Admit Card will be released on 7th January 2019. Candidates can download the GATE Admit card from the GOAPS website. IIT Madras will not be sent admit card via email/post. Those who have successfully registered for GATE 2018 and did not receive any message for duplicate and defective application form can download their Hall ticket from 4th January 2018. It is advised to candidates that please take a copy of ID proof along with your admit card. Review your syllabus for which you are preparing. Prepare your schedule as per the daily basis as well as for monthly basis. Divide you study hours according to your subjects. Try to finding your strength and weakness. Practice a lot of Previous Years Question Papers.